Poh Chang is one of 35 campuses in Rajamangala institute of technology (RIT). Poh-Chang has along evolution since being a branch of teacher’s council (Samakkhayachan) and then art teacher training school called “Hatthakam Rajburana”. 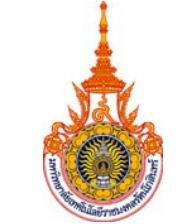 Until a proper art school was first founded on 7 January, 1913 and the name “Poh-Chang School” was given by King Rama VI as Poh-Chang’s to rise up artists and craftsmen. Poh-Chang has had a good reputation through it out the country ever since. After World War II art curricula and teachings were developed into modern education controlled by Department of Vocation Education in 1975. At present, Poh-Chang is the only campus in RIT responsible for art and education. Poh Chang is a unique campus which conducts standard educational courses in arts and crafts to prepare good artists and skillful artisans for the modern world of technology and also to enhance their aesthetic values. Poh-Chang responsible for education in diploma level (2 years) and degree level (2 years and 4 years) which compose of 18 majors in 4 department.